Our Steering Committee is our team of leaders who guide the direction of the Community Engaged Research Academy. The committee is made of community organizers, public health scholars, founders of Bronx-based organizations, and Bronx residents. 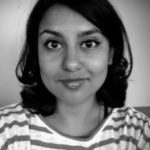 Tanzina Ahmed — Tanzina Ahmed is a doctoral graduate from the Human Development program at the CUNY Graduate Center. Dr. Ahmed works under the supervision of Dr. Colette Daiute. Tanzina’s research focuses on understanding how the long-term academic trajectories of community college students are influenced by their educational environments, relationship experiences, and academic activities. She also teaches as an Assistant Professor of Psychology at CUNY Kingsborough Community College and leads workshops on Adolescent Development for the New York City Department of Youth and Community Development. 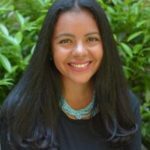 Ivelyse Andino –Ivelyse Andino, is a Bronx born and raised Puerto Rican community organizer & digital health strategist. She is the CEO and founder of Radical Health; the first Latina-owned and operated B-Corp in The Bronx. Ivelyse combines a meteoric rise in corporate health care with a relentless passion for community health to turn the paradigm of top-down healthcare on its head through co-creation with community members to become engaged partners and change agents in their neighborhoods. Radical Health’s work returns the work of healing and addressing disparities to historically marginalized people through community organizing, health tech, and promoting lived experiences. 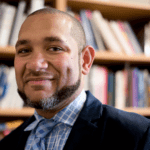 Justin T. Brown — Justin T. Brown is an Assistant Professor of Health Sciences at LaGuardia Community College, CUNY where his teaching primarily centers on courses in public health. Dr. Brown’s background mainly resides in the areas of program development and intervention evaluation. His collaborative research focuses on addressing health inequities among persons of color, LGBT, youth, and those populations at the intersection through asset-based approaches. Dr. Brown approaches his collaborative work through community-driven participatory action research to guide partners in research question development, assessment, analysis, and engaging in innovative culturally-responsive dissemination strategies. Justin utilizes mixed methodologies to develop a holistic, contextually-informed understanding of a community’s health and well-being. Brown completed his doctoral training with a health concentration in the Critical Social-Personality Psychology program at the CUNY Graduate Center and is currently completing a Master’s of Public Health in Health Policy and Management at the CUNY Graduate School of Public Health and Health Policy. Brown is currently the executive director of the CLAGS: The Center for LGBTQ Studies. 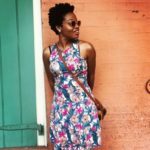 Devin A. Heyward — Devin A. Heyward is a doctoral candidate in the Social-Personality Psychology Doctoral Program at the Graduate Center – CUNY. Devin’s dissertation analyzes how racial identity changes over the lifespan and how it is influenced by self-initiated encounter events, in particular, genetic ancestry testing. Additionally, she has worked on varying projects concerning HIV prevention for college going women; a national Queer Person of Color (Q-POC) participatory research project for incarcerated persons; and two international projects in Uganda and Peru concerning children’s rights. Prior to joining the Sociology/Urban Studies Department at St. Peter’s University, Devin taught several courses at The City College of New York, including Psychology and the Black Experience, Social Psychology and the Social Psychology of Racism and Prejudice. Additionally, she has taught Health Psychology at Lehman College, Intro Psychology at the Fashion Institute of Technology (SUNY), and “Teaching Diverse Learners,” a Master’s level course, at SUNY Empire State College. 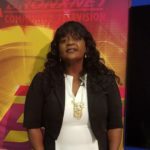 Kendra Oke — Kendra Oke is a long-time community organizer and host of the BronxNET program Crossover Showcase. Kendra has devoted her passion for health to organizing around awareness for diabetes, hypertension, and autism in the South Bronx. Marie Romani – Marie Romani is a CUNY Office Assistant at Bronx Community College (BCC), in which she is also an alumna. Marie was born and raised in the South Bronx, residing in the Morrisania Air Rights Development. While working full-time at BCC and also being a single parent, she attended Lehman College and earned her Bachelor’s.